I never give money to people on the street. I became convinced years ago that it was not a helpful thing to do. 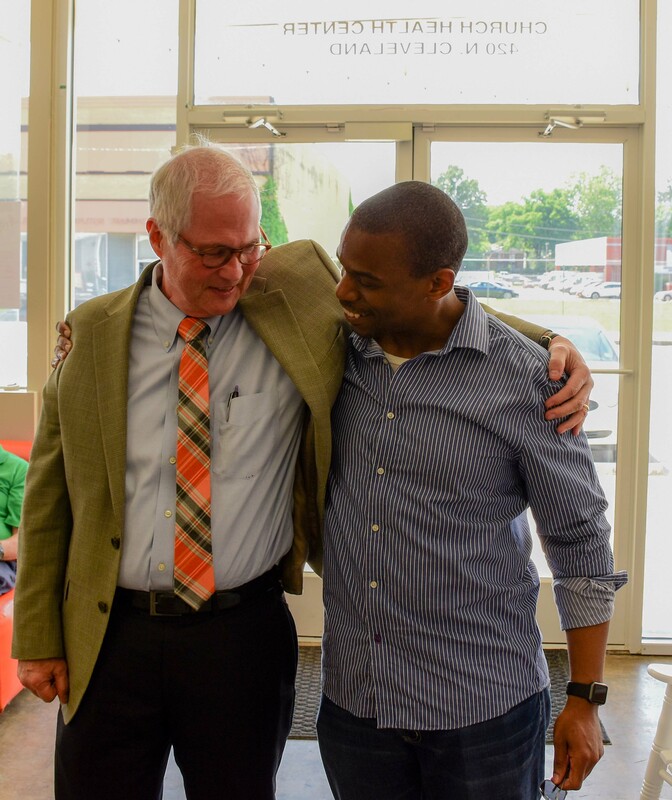 I am the physician for many homeless people in Memphis, Tennessee, and I know that giving them a few bucks does next to nothing to solve their long-term problems. Still, last week, as I walked down Michigan Avenue in Chicago, I opened my wallet. It was beginning to snow, and the Christmas lights decorating the street glimmered against in the late-afternoon sky. It was beautiful. The streets were incredibly crowded with shoppers, tourists and commuters hurrying to their next destinations. As we waited to cross a street, my wife, Mary, nudged me and pointed to a woman sitting on the curb with an empty glass jar asking for money. She was rocking back and forth in the cold. I looked over and felt sorry for her, but I was ready to move on. “Look at her leg,” Mary said. It was awful. I’d seen open wounds like hers on people in the streets of India, but never in America. Her right lower leg was one big exposed, infected sore. It was as bad as anything I’ve ever seen in my office—and I’ve seen a lot. Her sign said, NEED MONEY FOR BANDAGES. I was drawn to her. She never really looked at me. There was no way she was faking her wound. But it made me wonder. I know no one would choose to live like that. Years ago, I was treating a patient and noticed his WILL WORK FOR FOOD sign in his backpack. He was plenty smart, so I asked him why he panhandled instead of working. “Yeah, you can’t beg without one or the cops will harass you. It’s free, but you have to go downtown to get it.” That was all news to me, but it didn’t surprise me that he made more money begging than working a minimum wage job. Still, that isn’t how it’s supposed to be. Not in America. I’ve learned that it’s actually hard to become homeless. To find yourself truly alone so that you have nowhere to turn when you can’t pay rent, you have to burn every bridge with every person who has ever loved you. Addiction and mental illness often accompany homelessness, making it even more difficult to inspire sympathy from friends and loved ones. That said, I know how difficult and expensive it will be for the woman with the leg wound to buy her medicine and bandages. I don’t regret giving her money, even if she’s been sitting on Michigan Avenue for a year. Still, the moral dilemma of giving money to someone sitting on the street of an American city is something few of us ever come to grips with. Yes, we worry the person will just go buy beer. At the same time, we aren’t fully comfortable with just walking by, because there seems to be an unwritten tenet that no one in America should be forced to beg. On that, I think we could all agree. Still, I am disturbed that I have no real solution to the problem. The root causes that lead people to beg are complicated, and I am just not sure what I am to do. And I don’t know anyone who is. But we could start with asking the questions and try to do more than shrug our shoulders at the complexity of the answers. I’ve been to many baseball games at Wrigley Field to see the Chicago Cubs play. The first time was in 1977. It was at the beginning of the season, a late-April game. I was of course looking forward to seeing the Cubs play, but my real excitement was finally visiting the sacred space that is Wrigley Field and seeing the famous ivy that covers the outfield wall. My experience was not what I imagined it would be, though. It can be very cold in Chicago in April, and I almost froze to death as I sat in the stands. There were very few fans at the game – this was back when the Cubs were routinely terrible. But still, there was the ivy. More disappointment. When I looked to the outfield wall, there was nothing but bare sticks totally absent of green. It was ugly, not beautiful as I imagined. 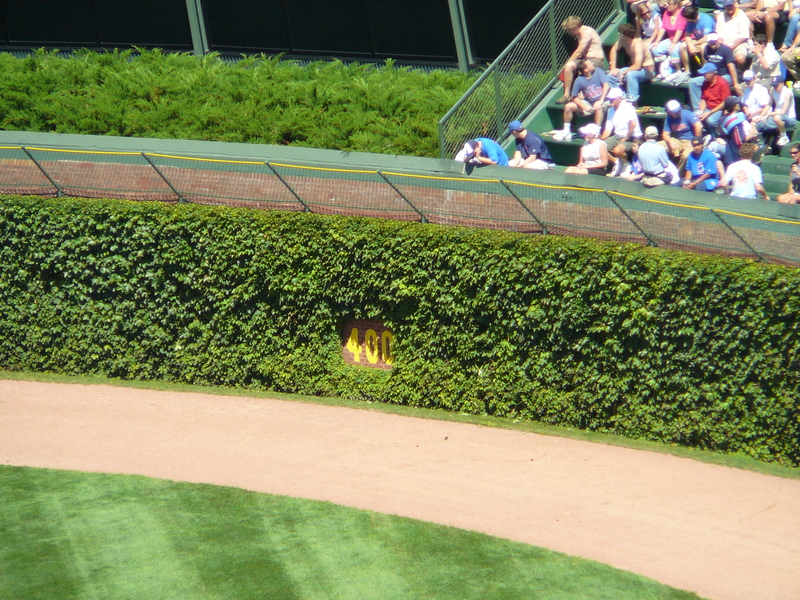 How did I not know that the Wrigley Field ivy was deciduous? The leaves fall off in the late fall and do not return until the spring warms up. I have always remembered that game and my disappointment, but I suspect every Cub fan will remember last night’s extra inning 7th game win of the World Series with a great deal more fondness. Last night, the Cub’s 108-year history of failure came to an end. There is something to persevering when all seems hopeless. This is indeed what makes me love my work at Church Health where we serve those who otherwise would be excluded from receiving the healthcare they deserve because of factors beyond their control. Every day I see people who year after year face insurmountable odds that life has put before them. Just this week in the clinic, we saw an Albanian woman who came to Memphis for an arranged marriage only to find her new husband was abusive. We saw a five-year-old boy whose eye turns out whose mother didn’t know where else to find help. This is our daily work. It may seem futile, but it is not. The Chicago Cubs have won the World Series because they spent millions of dollars assembling a superior team and they play in a wonderful city at what is arguably the best ball park in the world. They were always bound to win eventually. But it is not so of many of the people we seek to serve at Church Health. You could even argue that the chances of them “winning” are very small. They will always be talking about the inability to have the life God intended for them. But then, they find Church Health and their lives change. Our lives, too, are changed every day because of the richness we feel from being involved in their lives. It is not the World Series, but it is in some ways better. The joy they have in having their health restored lasts longer than the fleeting moments of a sports victory. My brother lives in Chicago and I’m sure he will be there as the Cubs march down Michigan Avenue celebrating their win. I will smile for those who feel a sense of happiness in their victory. But I will most likely be in the clinic when the parade happens. And that next person whose life we help change will give me true joy in knowing that the power of a healthy life is even better than a game-seven, extra-inning win. Last week, I spent some time at Baylor University in Waco, TX. I admit, Mary and I went with great curiosity about seeing Magnolia Farms, the home of Chip and Joanna Gaines from the HGTV home-remodeling show Fixer Upper. Who would have believed that Fixer Upper-fever had over taken the town? Each month an estimated 33,000 tourists travel to Waco just to gawk at what the Gaines have created. That was our first stop, but after that we spent time with Baylor students who are very interested in the link between faith and health. Their energy was so invigorating, and hopefully we’ll see some of them come to Memphis and work with us as Church Health Scholars during their a gap year between college and medical school. What I was not expecting was to meet Dr. Lori Baker, a forensic pathologist based at Baylor. It turns out she has a PhD in anthropology from the University of Tennessee and spent seven years in Memphis. What she has followed as her life’s work is both inspiring and gut-wrenching. Dr. Baker works to identify bodies that have died in areas of genocide or on the US/Mexican border. She then returns the bodies to their families. She has worked in Serbia and Honduras, but she mostly works in Texas. Every year, 500 people die trying to come to America. Before the 1990s, our country did not even keep a record of the deaths of these unknown people. On the Texas border, people pay a “coyote” to help them cross the desert, and once across and into Texas, they’re told that Houston is “just a 30-minute walk away.” They are led into barren lands that are mostly privately owned ranches hundreds of square miles in size. There is no water, so the irony of calling these people “wet backs” is disturbing. They will die of dehydration. Most bodies are found about 70 miles from the border, often in the fall during hunting season. They are buried on the spot or in cemeteries with unmarked graves. Dr. Baker, with a small group of students and volunteers, works to identify the people who never realized their American dream. She then tries to return the bodies to their families. It is heart-wrenching work, but surely the work of the Lord. She is one of the only forensic pathologists in America trying to identify these tragic souls. Two weeks ago, I saw a young man barely out of his teens from Honduras. While crossing the border into the US, he became dehydrated. He was admitted to a border hospital and told he had damaged his kidneys and that he would need dialysis. He then came to Memphis where he had family. Thankfully, he is young and his kidneys had recovered by the time I saw him. But he came within a hair’s breadth of being someone who met Lori in the desert. When I last saw him, he was smiling, ready to go to work building houses with his uncle. But I can’t help but wonder what his smile masks. Did he see people along the way who Lori will examine later this year? Did he know where they came from? Did he know their mamas? My talks with Lori educated me on a facet of immigrant life that I never considered, but I cannot get out of my head the profound sadness of it all. She gets regular hate mail for doing what she does. The line between life and death is so very thin. My troubles seem of little consequence when I think of all those who set out on such a perilous journey. I don’t know if I will see Lori ever again, but I do know I will not talk to a recent immigrant to Memphis from the South without thinking about what could have been. Sometimes chosen family matters as much or more than the family we are born with. That is certainly true for my wife Mary and our “adopted” son, Menachem Leasy. Menachem was born in Tupelo, Mississippi during the time of the Camp David Accords. These were talks between the USA, Egypt, and Israel that lead to a brokered peace treaty between Israel and Egypt that has lasted for over 35 years. Menachem’s mother was so enamored with the possibility of peace in the Middle East that she decided to name her baby after one of the three national leaders. She was choosing between Anwar Sadat, Jimmy Carter, and Menachem Begin. She chose Begin. Menachem was a good student who has always worked hard. 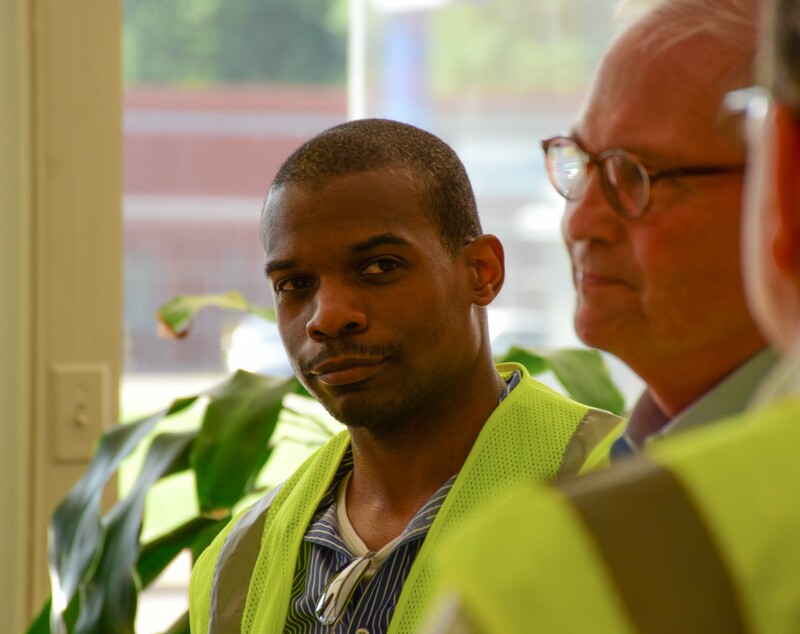 When he was 11 years old, he got his first job working on the back of a garbage truck. After his shift, he’d head to school. He played football in high school and was good enough to go on to play fullback at Rhodes College here in Memphis. He wanted to be a doctor and made good enough grades to be accepted, but he just missed being admitted to the University of Tennessee, his first pick. So, he became a clinic assistant at the Church Health Center. He worked for us 40 hours a week, but had a second job as well. It was on a Sunday afternoon when Mary and I ran into him at his third job that we decided to adopt him with the full blessing of his mother Dorothy. I worked hard to help him get ready for medical school and to help him along the way once he was admitted. During his senior year, he and I took several trips for him to interview for his residency. I have always hoped that he would be a physician who would care for the poor and eventually come back to work at the Center. At least the first part of my wish came true. From the first time Menachem set foot in Manhattan, he fell in love with New York City. He began his residency to be a family physician at Beth Israel Hospital in lower Manhattan. As a Jewish hospital, many Hasidic Jews would pick their doctor from a list that only had the doctors’ names. Naturally they were surprised when their doctor named “Menachem” turned out to be something different than they expected: a young, African American man. Quickly, however, they realized they were in excellent hands. When he finished his residency, I in no subtle ways began making plans for him to come to work alongside me. Sadly, for Memphis, Dorothy, and Mary and me, the New York bug was too powerful. For the last three years, Menachem has worked at a clinic in Harlem that provides care for the poor. He is everything I hoped he would be, only he is doing it Manhattan. His mothers and I hope that one day he might again come back to Memphis, and he does not rule that out. For now, we are stuck with twice-a-year visits. 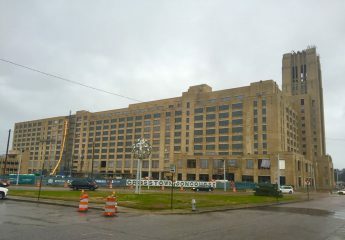 Recently he came home to Memphis and I gave him the tour of Crosstown. I am hoping that seeing what is possible there has gotten his wheels turning. No matter what I know, he is an excellent physician. It is evidenced by the fact that many of his Hasidic patients have followed him to Harlem even though they live on the lower east side, which in New York is a long way to travel to see your doctor. While peace in the Middle East is still elusive for the world, I have to believe that all three world leaders would be pleased with knowing that a baby born in Mississippi at the time of their work has gone on to do the type of work based on justice that all three hoped for. I am especially sure that Menachem Begin would be proud of his namesake.